Home Environmentalism Is “green” oil good for us? The carbon reduction craze has been now embraced by the Canadian oil sands producers as the unavoidable necessity to “clean up” their product to meet the ever more stringent government regulation on CO2 emissions. (See the informative article by Claudia Cattaneo and Geoffrey Morgan in the Financial Post here). The Canadian oil companies have all but given up defending their life-enhancing and life-saving product against the government-imposed carbon constraints demanded by the environmentalists. Succumbing to pragmatism, they have compromised the standard of human survival and flourishing and their own freedom to produce energy for human well-being by their agreement to cap carbon emissions in an attempt to appease the climate-change lunatic governments and environmentalists. According to Cattaneo and Morgan, Murray Edwards, chairman of Canadian Natural Resources Ltd. (the largest oil producer in Canada), “expressed hope that Canadian oil would gain acceptance as ‘clean oil’ by embracing climate-change reduction policies,” after signing the agreement with the Alberta government to cap the industry’s CO2 emissions at 100 megatonnes a year from the current 70 megatonnes. The tragedy of the oil companies’ appeasement of governments bent on controlling climate change and of their environmentalist cheerleaders is that it will not serve any beneficial human purpose (but will give governments more control over our lives). The climate is always changing, regardless of any human activity (volcanic activity and sun spots, for example, have a much greater impact on the climate than anything that man can do). The average global temperature (a measure of doubtful meaning), has increased by .8 degrees Celsius in the last 150 years. According to Dr. Richard Keen, emeritus meteorologist at the University of Colorado, a large portion of that increase has been caused by volcanic eruptions. Trying to constrain human carbon emissions is a complete waste of time and effort. CO2 is greenhouse gas essential to plant life and human survival and flourishing. The ideal amount for thriving plant life and humans of CO2 in the atmosphere is about 1,500 parts per million (according to NASA, 8,000 ppm is toxic to humans). The current level is about 400 ppm, an increase from .03 to .04 per cent since before the Industrial Revolution. So why spend any effort and resources trying reduce the amount of this beneficial greenhouse gas? It would be much more beneficial to reduce toxic pollution and to improve the availability of clean water, for example. But as Alex Epstein reports in The Moral Case for Fossil Fuels, according to the Environmental Protection Agency, despite the increased use of fossil fuels, toxic pollution has already decreased significantly, and the availability of clean water has increased—thanks to human ingenuity and innovation. As Cattaneo and Morgan report, the enthusiasts for climate-change control extol government regulation as an innovation driver, claiming that oil companies are forced to become more efficient while finding ways to reduce carbon emissions. It is true that by wielding the threat of physical force (fines and even jail sentences), governments can pressure oil companies to “clean up” their product. Ironically, so far the market has not been willing to pay more for “clean” oil voluntarily, so to remain profitable, oil companies have been innovating new technologies to extract and produce oil at a lower costs. But giving credit for the oil company innovations to governments is a mistake. By its very nature, government interference in business is costly and harmful to our lives. Government interference makes energy artificially more expensive, limiting our freedom to choose how to live and to spend our money. Government interference in business reduces the overall wealth created, hampering investment in life-enhancing products and services, from inexpensive, affordable energy to labor-saving technologies and live-saving medications. Government-imposed “green” oil does not benefit us in any way. We don’t need the government regulation to reduce pollution or water use by the oil industry, either. What we do need is to get governments everywhere to protect individual rights (against pollution of our property or legitimate threats to our health, for example), to get out the business of regulating the oil industry, and to make markets free. That would truly boost innovation and lead to less expensive and even less-polluting energy to benefit our lives. 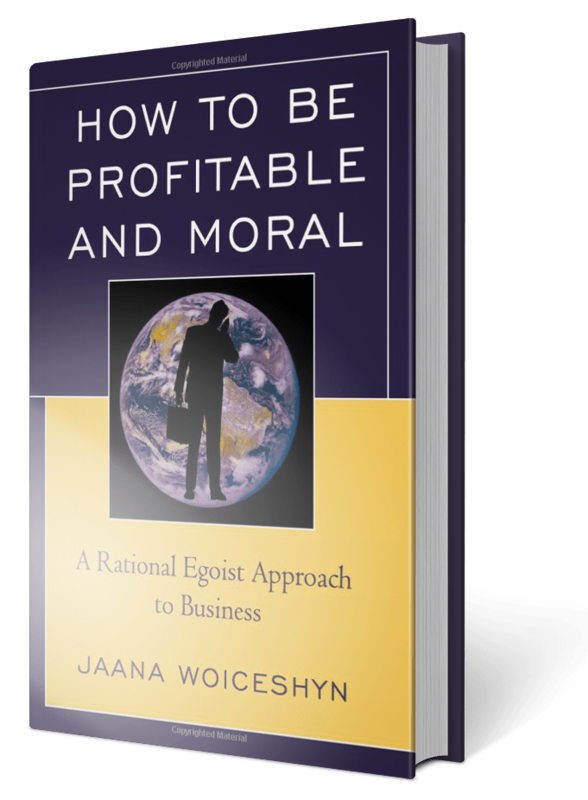 Next articleMoral choices in business: altruism, cynical exploitation, or rational egoism?